Mouser Electronics, Inc., the New Product Introduction leader empowering innovation, is pleased to announce that it will once again be a major sponsor of the FIRST Championship. Mouser will sponsor the Hall of Fame Exhibit at the title matches, honoring the winning teams with the esteemed Chairman’s Award. Joining Mouser in this sponsorship at the robotics competition are valued manufacturer partners Nordic Semiconductor and ON Semiconductor. The 2017 FIRST Championship will be held in two locations: April 19–22 in Houston at the George R. Brown Convention Center, followed by the second weekend, April 26–29, in St. Louis at the America’s Center Convention Complex. 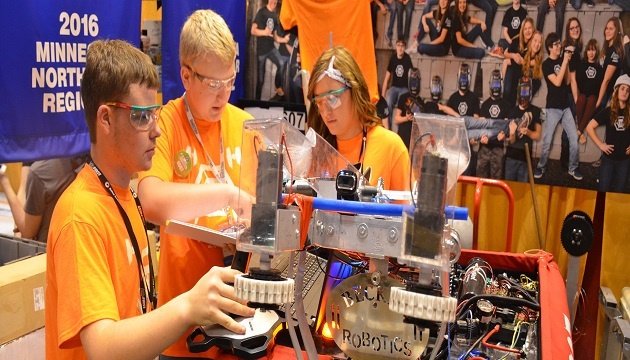 Mouser is a strong supporter of the FIRST (For Inspiration and Recognition of Science and Technology) Robotics Competition, an international high school robotics building contest that began in 1992. This year’s creative FIRST STEAMWORKS theme promises to inspire and challenge students and entertain audiences of all ages with its take on the steampunk subculture. The mission of FIRST is to inspire young people to be leaders in science and technology through exciting mentor-based programs that build science, engineering and technology skills. FIRST programs inspire innovation and foster well-rounded life capabilities including self-confidence, communication, and leadership. The FIRST Robotics Competition Hall of Fame exhibit at the FIRST Championship highlights the past recipients of the Chairman’s Award, the highest honor awarded in the FIRST Robotics Competitions. Instead of awarding the Chairman’s Award to the team that earns the most points in the competition, FIRST honors the team that best exemplifies the goals and values of FIRST. To learn more about how Mouser supports FIRST, visit http://www.mouser.com/first/.